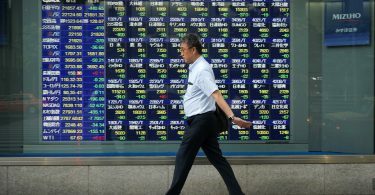 New Delhi: Markets regulator Sebi Monday announced changes in norms related to payment of commissions and disclosures for the mutual fund industry. Changes have been made to various circulars issued earlier, including the circular issued in October 2018 wherein Asset Management Companies (AMCs) were asked to adopt full trail model of commission in all schemes. Besides, upfronting of trail commission was allowed only in cases of inflows through Systematic Investment Plans (SIPs). 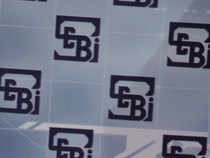 “The upfronting of trail commission may be for SIP of up to Rs 3,000 per month, per scheme, for an investor who is investing for the first time in mutual fund schemes,” Sebi said in a circular on Monday. The commission will be paid from an AMC’s books and only the first SIP purchased by the new investor will be eligible for upfronting. In case multiple SIPs are purchased on different dates, those for which the instalment starts at the earliest date would be considered for upfronting. The commission will account for computing the Total Expense Ratio (TER) differential between regular and direct plans in each scheme, the Sebi said. TER is a percentage of a scheme’s corpus that a mutual fund house charges towards expenses, including administrative and management charges. For the purpose of charging additional TER on inflows from retail investors from B-30 (Beyond top 30) cities, Sebi said inflows of up to Rs 2 lakh per transaction by individual investors would be considered as inflows from retail investor. On a daily basis, AMCs are required to disclose the TER of all mutual fund schemes except infrastructure debt fund schemes on their respective websites. Also, issuance of prior notice to the investors would not be required in case of any increase or decrease in TER due to change in asset under management or other regulatory requirements. Besides, Sebi said that schemes in the category of overnight fund, liquid fund, ultra short duration fund, low duration fund and money market fund will be exempted from making performance disclosure provided that the schemes are in existence for less than one year.